The BMB1 comes standard with two DigiLink connectors for direct hookup to Avid Pro Tools. BURL AUDIO does away with the expansion port, making both primary ports. 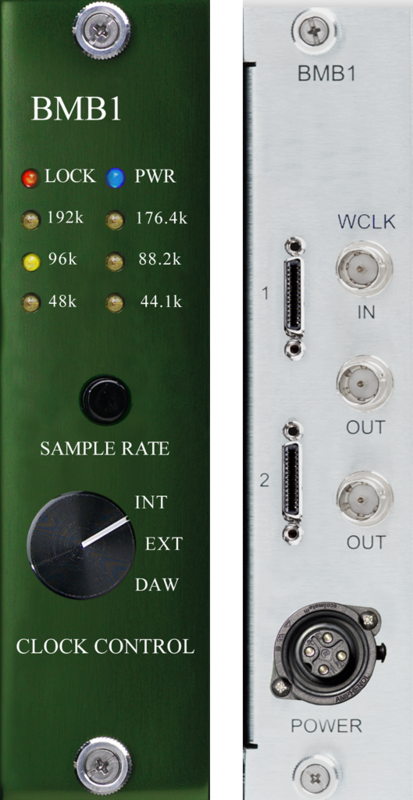 That means you can play 64 ADC or DAC channels straight out of Pro Tools with one unit! With 6 BAD8s and 4 BDA8s a 48x32 IO can be achieved. With 2 BAD8s and 8 BDA8s a 16x64 IO can be achieved. With the configurability of the MOTHERHSHIP the IO possibilities are limitless.